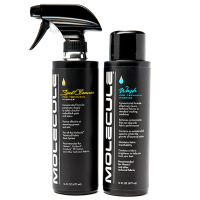 Molecule works and has been tested with Nomex, CarbonX, Proban, Fire retardant cotton. Pit Stop USA is The Online Motorsports Superstore! We feature Car Cleaner, Polish & Wax at low everyday prices. 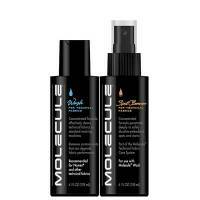 Molecule Anti-Fog - 4 oz. Ships from California or Michigan. 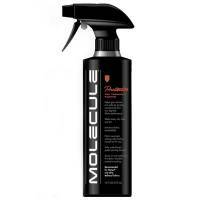 Molecule Helmet Cleaner & Polish - 4 oz. Molecule Helmet Fabric Refresh - 4 oz. 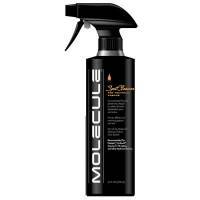 Molecule Wash - 16 oz. Pit Stop USA is The Online Motorsports Superstore! Molecule Labs, Inc. provides solutions for the safety, care, and maintenance of numerous technical fabric applications. Specially formulated for NomexA, tested by the SFI Foundation, Inc, and proven in diverse racing conditions for over two years, Molecule is designed for racers by racers. Formulated to be used on any brand of NomexA fire suit, the lineup of molecule wash, molecule refresher, molecule protector, and Molecule Spot Cleaner can be found in use on driver and crew suits around the world, from Off Road Racing, Le Mans, Champ Car to Formula One. Molecule Wash, Molecule Spot Cleaner, Molecule Refresher a" Enhances The Protection Properties of Nomex and Technical Fabrics. Molecule works and has been tested with Nomex, CarbonX, Proban, Fire retardant cotton.... all technical fabrics. We feature Molecule Wash, Molecule Spot Cleaner, Molecule Refresher, Molecule Protector, Molecule Wash Kits and the Molecule Complete Care Kit at low everyday prices!